They say time passes by quickly when you are having a good time. That is exactly how we felt as we completed 5 consecutive years of success on 22nd February 2018. We ventured into creating art for the social media/mobile world. Our passion for storytelling continues with another IP Yoga Platoon developed in-house. We took our IP’s The Bloop Troop and Yoga Platoon to Ace Fair, Gwangju South Korea, ABAI-B2B summit Bangalore, and Global Content Bazaar, Mumbai. Both IP’s were received very well at the events. Our team has grown to over 50 strong. 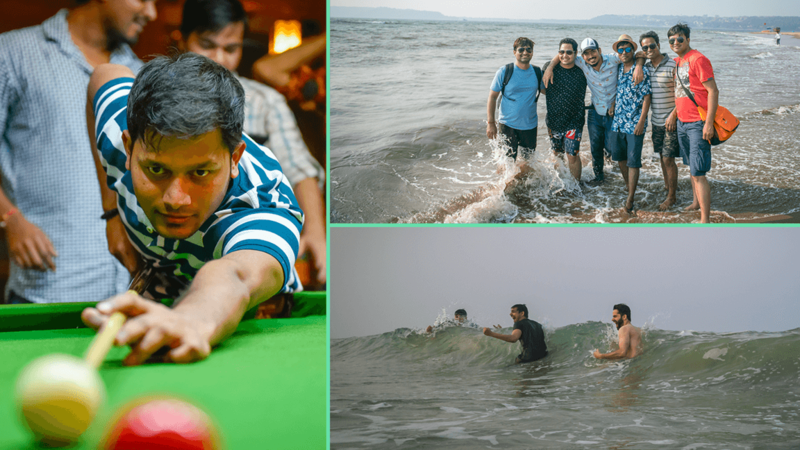 To celebrate our 5th anniversary, we took a studio trip to Goa! It is said that ‘A team that travels together, wins together’ and this was an opportunity for everyone to travel as a team and connect with each other. Now that we had concluded all the ceremonies, it was time for some sightseeing. The first two things that would pop up when you mention Goa would be beaches and whitewashed churches. Goa’s beaches are not only a great place to relax, you could indulge in watersports, taste Goan, Indian, and continental cuisine, shop for locally crafted artworks, souvenirs, clothing, and accessories. Goa offers more beaches than we could fit into our itinerary. We visited Colva, Dona Paula, Miramar beaches during this visit. The Portuguese influence on food, culture, and architecture of Goa makes this state so unique and distinctive. We visited the historic Basilica of Bom Jesus and Se Cathedral which are a must-see on any tourist list. 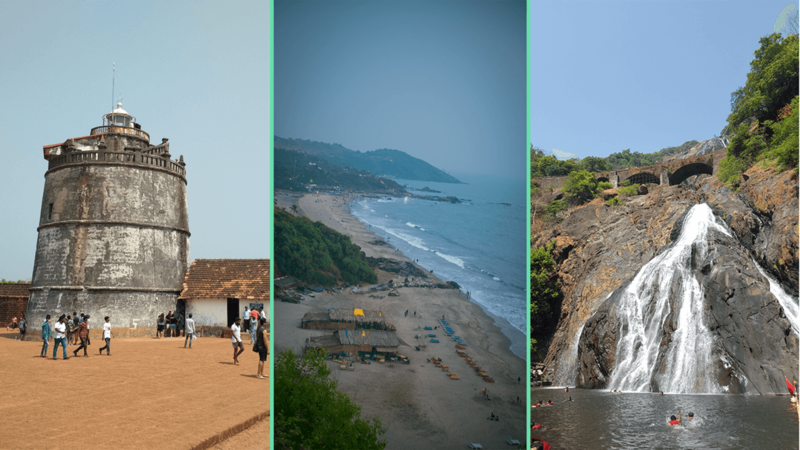 Fort Aguada and Reis Magos Fort have been made popular by Bollywood movies. Tourists flock to live their movie dreams and if they are lucky enough to catch a glimpse of their favorite star. We didn’t get a piece of some Bollywood action but enjoyed the magnificence of the forts nonetheless. Located on the Mandovi river 60 km from Panjim, Dudhsagar Falls is amongst India’s tallest waterfalls. The area is surrounded by deciduous forests with rich biodiversity. We took a Jeep Safari to the falls. While some team members took a moment for the beauty of the expanse to sink in others enjoyed a relaxing swim. We realize the importance of getting away from a familiar workspace to an unaccustomed venue. It was great to see the team bond over sketching sessions and games in a location far away from the studio. We observed a certain sense of unity and synergy expanding with our team. New partnerships were formed and existing bonds were strengthened. As an organization, we have strived to balance fun, learning, and growth. Excursions such as these find a regular spot on our calendar. All good things must come to an end and we had to bid adieu to the coastal paradise. Taking precious memories from this trip and reflecting back on the ones made since the inception of the studio. Some might feel that 5 years is a long duration, to us though, it feels this is only the start of our journey. Hope to catch you again for more such adventures.